He began his professional career in 1986, as a journalist and translator working in several editorial offices. He made a journalistic career as a journalist for TV Belgrade, where he was working also as a reporter for CNN World Report. Later, he received the CNN award for the largest number of broadcasts (over 80) during one year. He continued his career as editor of the show “24 Hours in the World” and a foreign political & informative Program editor in the national television station of Serbia (RTS). In the period from 1998 to 2001 he served as the Assistant Minister of Information. Following his work at one of the leading television stations in Serbia (TV Pink) as a foreign policy editor, he became a media adviser at the Ministry of Trade, Tourism and Services in early 2005, and in 2006 he was elected Director of the Tourist Organization of Serbia. 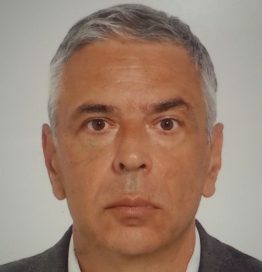 In early 2007, he became a member of the Board of Directors of the European Tourist Board, and later in the same year he started working again as foreign political editor at Pink TV station. After becoming an external political adviser to the President of the National Assembly of the Republic of Serbia in 2012, at the end of 2013, he was appointed as acting Director of the Tourist Organization of Belgrade.